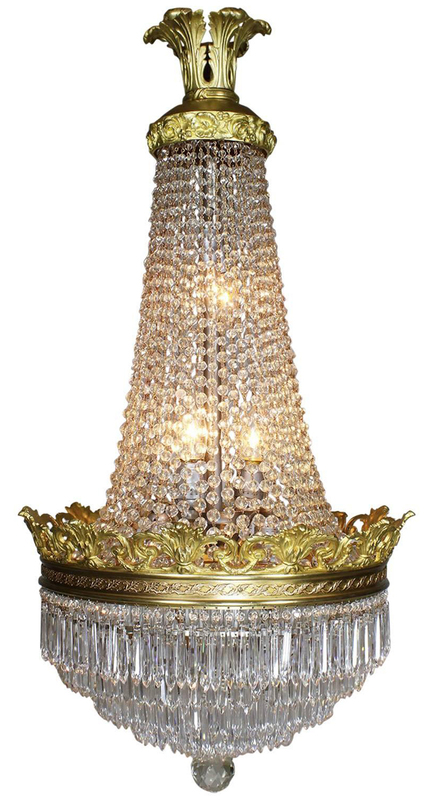 A Fine French Early 20th Century Louis XVI Style Gilt-Bronze and Cut-Glass Prisms Cascade Four-Light Chandelier. 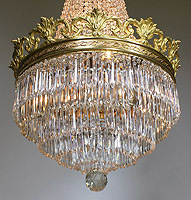 The elongated body with a floral canopy with an Art-Deco floral design above strands of beaded cut-glass strands. The center gilt-bronze frame surmounted with laced wreaths below an acanthus and floral design. 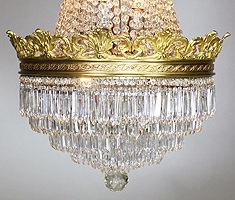 The bottom with six-layers cut-glass prisms cascading in the form of a waterfall, all ending with a cut-glass sphere. Circa: Paris, 1900.